The proposed Promising Adults Tomorrow’s Hope (PATH) diversion program received unanimous support from the Long Beach City Council last night. Councilmembers approved the proposal, giving the city manager’s office the go-ahead to begin the first steps toward identifying funds for a pilot program that could start in the next fiscal year. The PATH program would work toward keeping low-level youth offenders out of jail by providing alternatives like job training, mentoring and post-secondary education in lieu of traditional prosecutions. It would also work in collaboration with the Pacific Gateway Workforce Investment Board. However, Tuesday’s vote only initiated the city’s portion of fund seeking, with the Pacific Gateway conversation to be held a different time. Ninth District Councilman Rex Richardson—one of four council members who sponsored the PATH program— had championed the idea of the PATH program as a way to not only save money through eliminating court fees and cost of incarceration, but also to grant second chances to youth who are still impressionable and susceptible to making bad decisions. His focus on the youth stems from several scientific studies that spotlight the idea that brain development doesn’t stop until around the age of 25. Richardson’s focus is on the 16-to-24 age demographic, one that makes up the largest portion of Long Beach, according to the most recent census numbers and also the group most heavily impacted by unemployment and crime. Numbers provided by Pacific Gateway showed that the age demographic suffers from an unemployment rate that is across the board higher than state and national averages, while crime statistics from the Long Beach Police Department (LBPD) revealed they accounted for half the murder victims and nearly 40 percent of the robbery victims since January 2014. The program would seek to address this specific age group, providing job opportunities and training, something that Richardson said will pay long-lasting dividends to the community. An estimated budget for the program calls for $120,000 to hire a diversion coordinator in the city prosecutor’s office to handle and manage the case load of youths that are granted diversion instead of fines or jail time. City Prosecutor Doug Haubert, whose office already practices other forms of diversion and has assigned over 100,000 community service hours over the past five years, said that entrants into the PATH program would be taken on a case-by-case basis, but he endorses the program’s ground up and whole-village approach to crime prevention. The motion received nearly unanimous support, save for a few concerns about the annual budget allocation that PATH could demand if federal and state grants could not be located. Fifth District Councilwoman Stacey Mungo proposed looking into the possibility of letting one of the city’s non-profits head the program instead of paying upward of $100,000 per year for a diversion coordinator. Others wished to take a cautious approach, letting city staff arrive at a fiscally responsible solution. 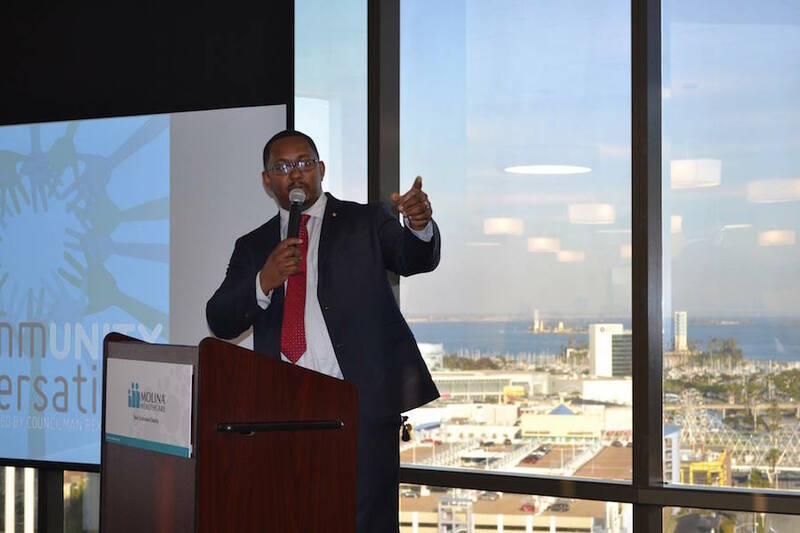 Sixth District Councilman Dee Andrews responded to the notion of cost being a barrier as he pointed to the bigger picture of improving the long-term outlook for the city by investing in the youth. Third District Councilwoman Suzie Price, a prosecutor in Orange County and a constant critic of the city’s distribution of funding, said that while cost should always be taken into account, the program had 100 percent support from her. Price spends her Friday lunch breaks speaking to impoverished fourth, fifth and sixth grade students and said changing just one life is worth it. “We have an opportunity and a duty as a society to reach out as early as we can to the young people in our society and try to educate them about choices and opportunities,” Price said. Richardson, being the youngest on the council at 31 years old, said it’s easiest for him to identify with the demographic being affected by socioeconomic barriers and crime. It wasn’t too long ago that he himself was being mentored by the man he eventually replaced on the council, former Ninth District Councilman Steve Neal. Neal, who was in attendance, applauded the council’s support of such a potentially impactful initiative. He added that as a member of the Ministers Alliance of Long Beach, they pledged their support to whoever will carry the initiative forward in the city as it’s so important to the safety and health of the community. He pointed to the right side of the Dias, the structure the council members sit behind, as proof that programs like this work and that people can be redeemed.